Imagine a collection of rustic log cabins where families and friends have their own place to call home for a weekend or longer. Room to spread out and relax, to honor traditions and create new memories. 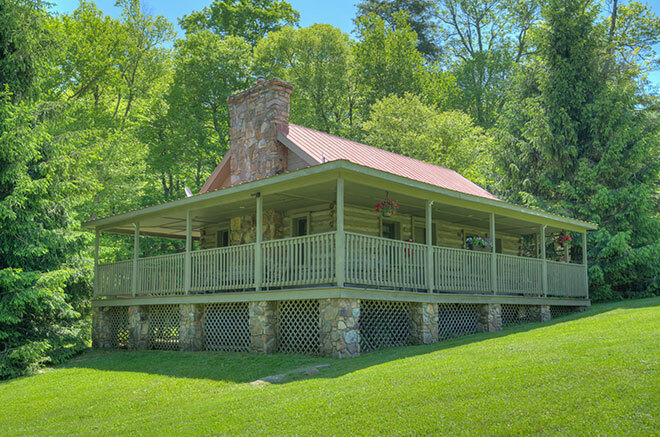 These original structures were summer homes, hand-built using timber from the property by regular guests. 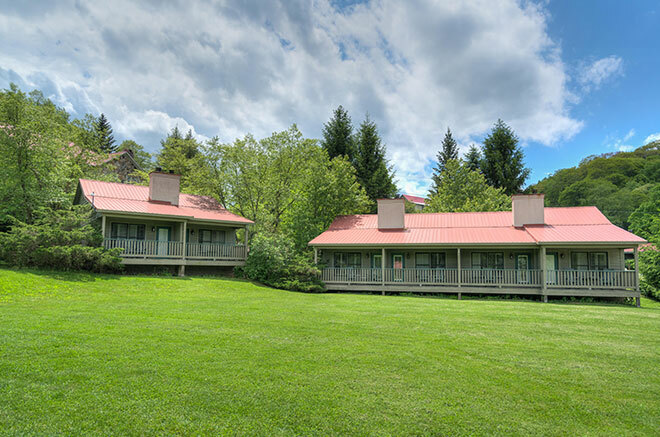 Eventually, they deeded these memory-filled residences to the hotel to become part of the Mountain Lake Lodge mystique. 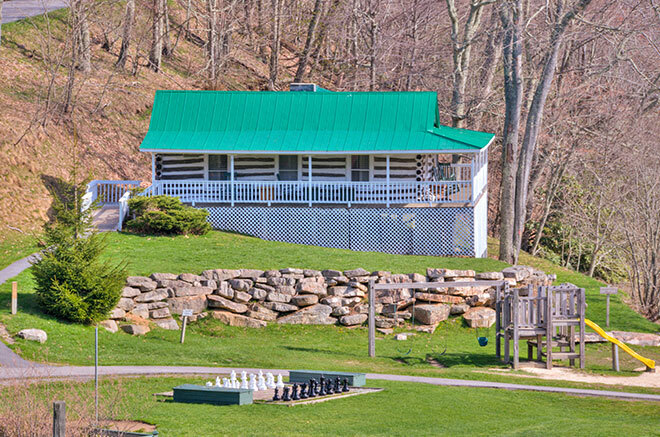 These simple cabins - dating back to 1912 - represent over a century of family fun on the mountain. 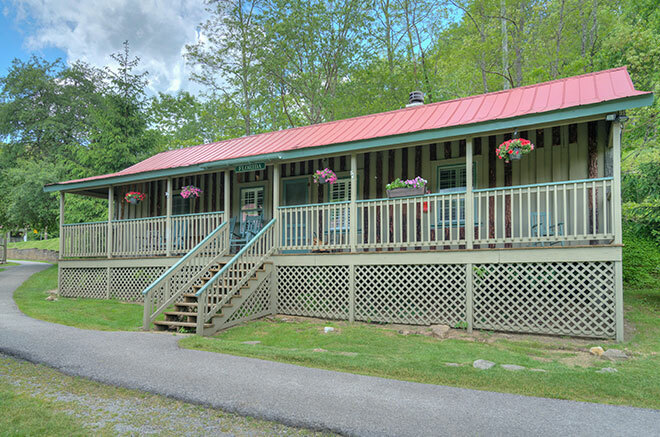 Each features a microwave, mini refrigerator, cable TV, iron and ironing board, free Wi-Fi, and local calls. 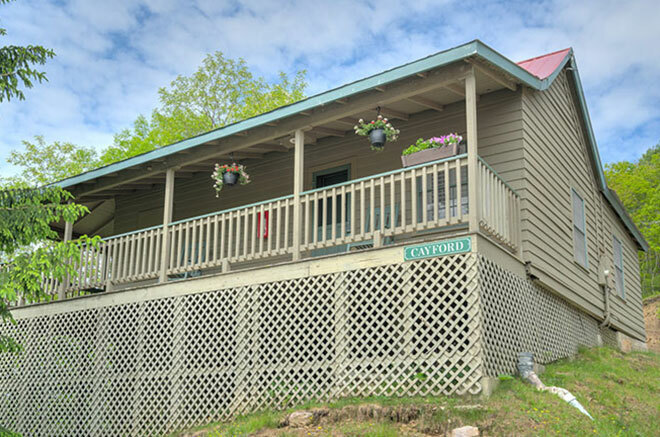 These quaint cabins are the best way to experience Mountain Lake. 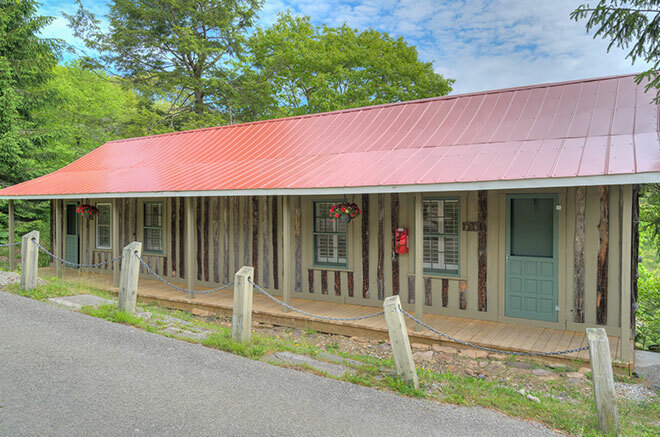 Newly refreshed, this two bedroom cabin features one queen bed, and two twin beds with a cozy living room. 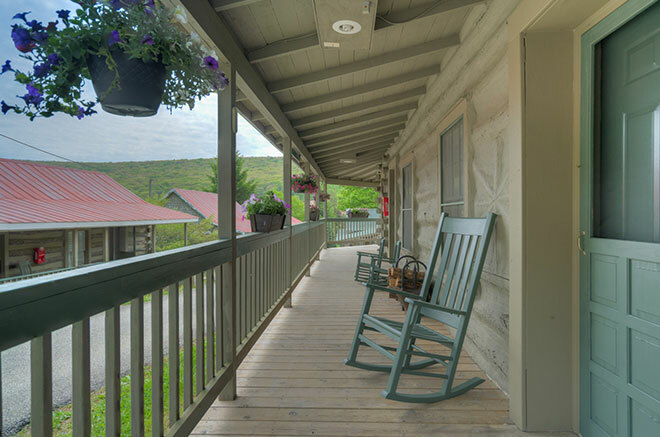 Located at the top of our historic row cabins, the Main Stone Lodge is less than a 3 minute walk away. 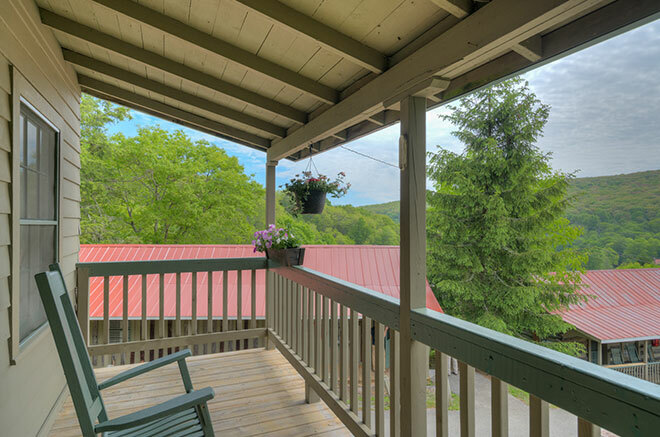 Best known as "Baby's Cabin" from the movie Dirty Dancing, this newly renovated three-bedroom cottage offers one king, one queen and two queen bedrooms plus three private bathrooms. A large living room with vaulted ceiling and sleeper sofa is ideal for up to 10 guests. 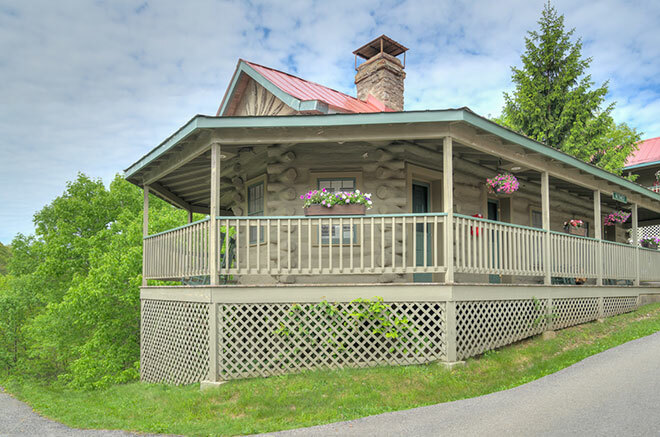 Enjoy a spacious bedroom with king bed, wood-burning fireplace and generous wraparound porch with lovely lawn and lake views. A sleeper sofa in the large living room makes this ideal for up to four guests. 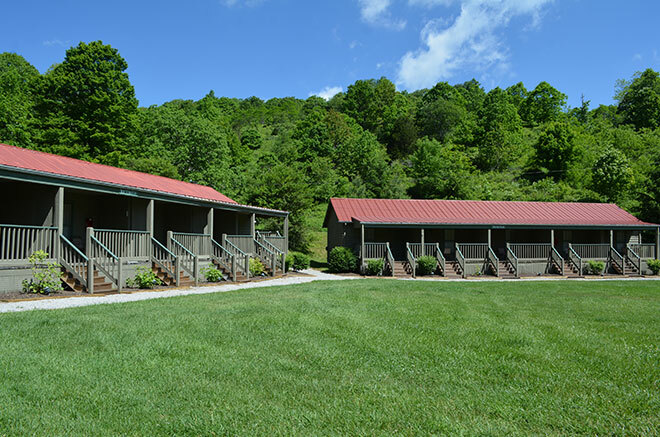 Twelve connected multi-unit cottages are popular with groups, families and reunions. 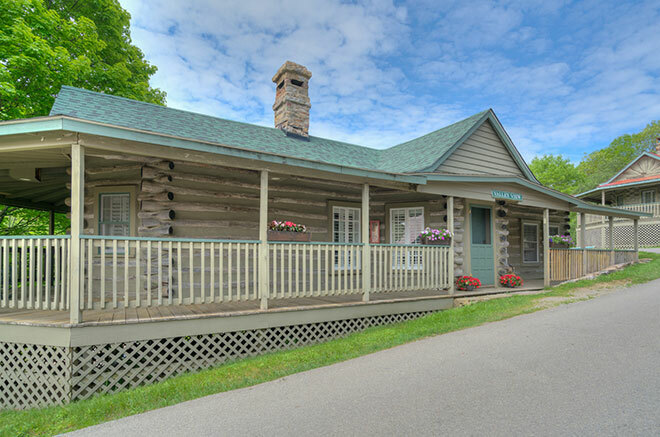 Each cottage has a front porch with lake views, and interior connecting doors allow for two-room family suite configurations. Choose from king or queen-twin units. Two guests per unit, up to five in a family suite. 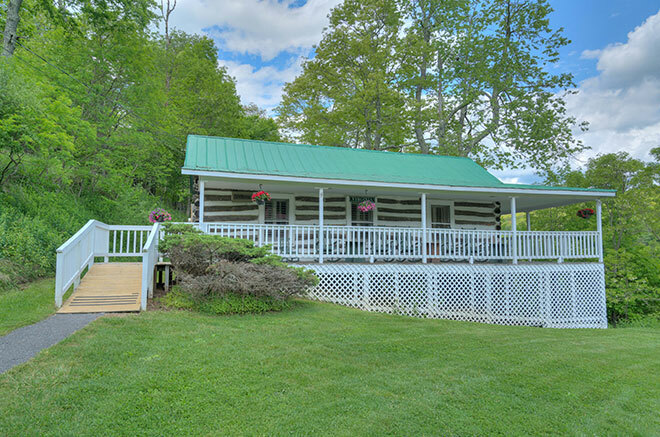 A spacious cottage with two bedrooms with queen beds and private baths, a sleeper sofa and wood-burning fireplace in the living room and lovely wraparound porch with rocking chair, these cottages are just a stone's throw to the pool, lake and front lawn. Ideal for up to six guests. 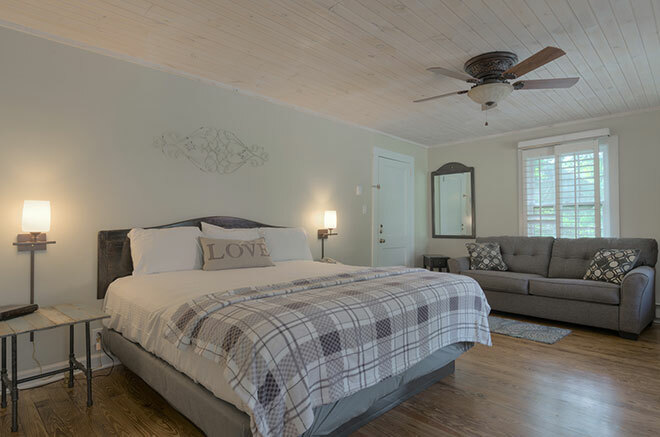 Located in the heart of the resort and completely rebuilt in 1994, enjoy vaulted ceilings, wood burning fireplaces and your choice of a king or two queen beds. A sitting area with sleeper sofa and interior connecting doors makes these the ideal choice for families and groups of 4-6 guests. 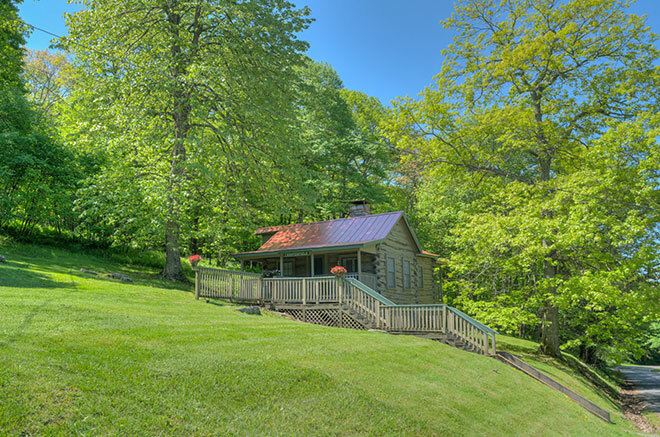 This rustic cabin offers two matching units that sleep up to two guests each. 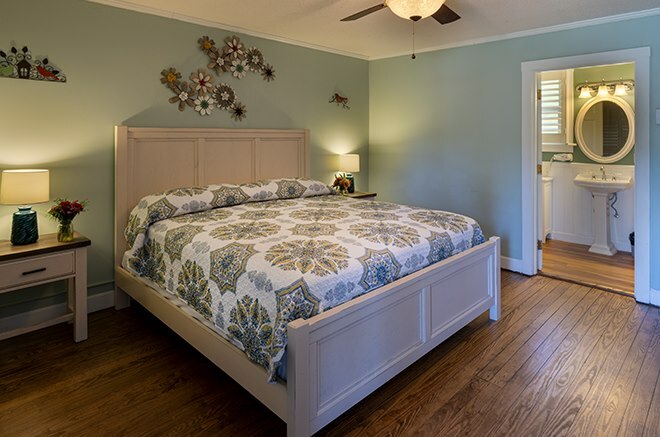 Enjoy a spacious king bed, private bathroom, sitting area and large porch overlooking the front lawn. A great option for couples traveling together. 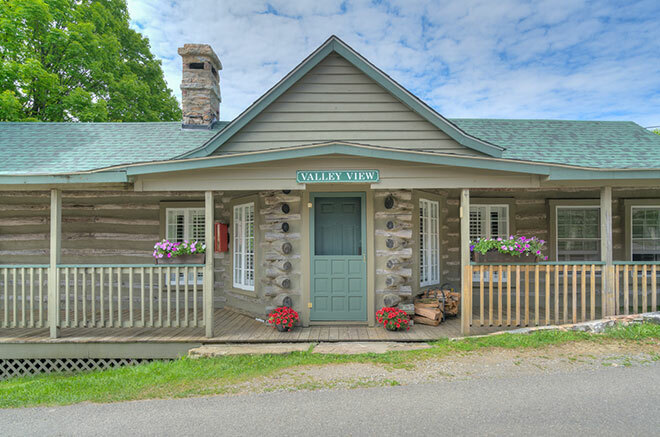 Built around 1913, this romantic one-bedroom cottage features vaulted ceilings, a gas fireplace, private bath with jetted tub and a separate living area with sofa sleeper. The ideal escape for up to four guests. 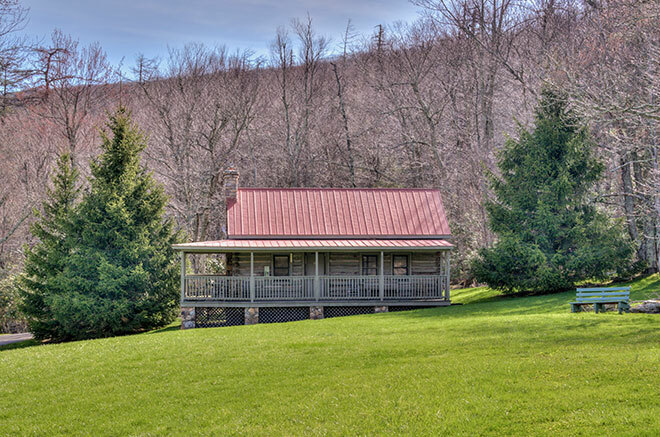 Built in 1918, this three-bedroom cottage features a spacious living room and wraparound porch with endless valley views. Ideal for up to eight guests with one king bed, one queen, two twin beds and a sleeper sofa. 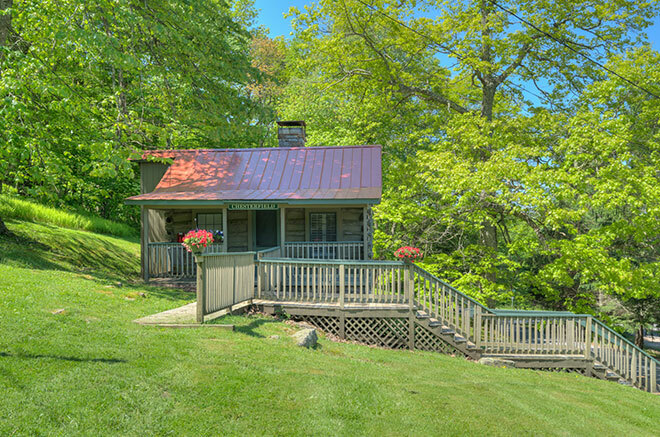 Built in 1918, this cottage is prized for its huge wraparound porch affording stunning sunset views. Enjoy a master bedroom with king bed, second bedroom with twin bunk-beds and a sleeper sofa in the living room. Ideal for up to six guests.